As we get closer to the 2.0 patch for Destiny, I thought I would offer up my thoughts on some of the parts of the weapon balance changes. Today, mainly because I’ve been playing PvP more frequently, I want to talk about shotguns. Anyone that’s put any real time in the Crucible since the last weapon update – back in January – should be very familiar with the power of shotguns. Since the weapons’ impact stat matters a lot more in Crucible for damage per shot, shotguns have always been powerful weapons. They tend to always have pretty high impact stats, which in turn results in more one-hit kills. 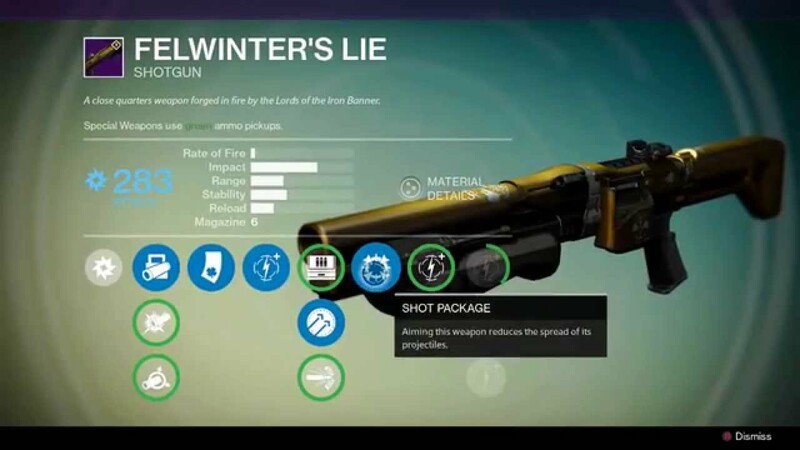 The problem came in when Felwinter’s Lie was first available for sale – it’s already the longer range, highest impact, low rate of fire. When Iron Banner 2.0 went live at the same time, Lord Saladin offered the option to reforge weapons – allowing every person with a Felwinter’s Lie to roll it to it’s most powerful state. In this case, it allowed anyone to roll an already powerful weapon with a perk – Shot Package – that pushes it even farther. Normally that wouldn’t be a huge issue – Bungie should have nipped it in the bud back then by addressing Felwinter’s in particular. Instead, with the House of Wolves they added in three other high impact, extended range shotguns – AND made reforging even easier to do. Now, in the 2.0 weapon balance patch, the problematic perks are being addressed. Shot Package, and the slightly less ridiculous Rangefinder, are both being reduced in effectiveness. That’s a really good start – especially since shotguns already got hit by a range nerf back in the 1.1 patch. The problem here is that the real issue that’s kept shotguns at the top of the list is that Destiny‘s core mobility mechanics make it incredibly easy to get in to one-hit range almost instantly, with little to no danger. Sliding is the highest risk move in the close range playbook, and even that still easily favors the sliding player. The biggest issue is Voidwalkers and Bladedancers have access to Blink Jump – essentially a teleport. It allows them to move around the maps super fast, with almost no threat of danger – damage while blinking is ignored, at least during the teleport. Add in that it’s an almost instant transit and the change in vertical nature makes countering it an incredible chore – especially as a Titan. So while I am happy to see those really problematic perks get knocked down to a more even level, knowing that they probably won’t ever adjust Blink means that shotguns will continue to be a viable strategy forever. Now, as a shotgun fan in shooters, I’m really happy with the way the weapons feel in Destiny. 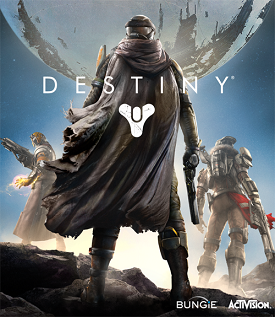 But the current meta feels counter-intuitive to the rest of the way Destiny feels and plays. Bungie has a track record of messing with the weapon type – in each Halo game they worked on, the shotgun underwent a pretty noticeable tweaking. Destiny needs more frequent tweaks than it’s seen so far, but I do worry that we might see the swings be too much each time. We’ll see what 2.0 actually brings with it, and how the new meta shapes up after The Taken King launches.